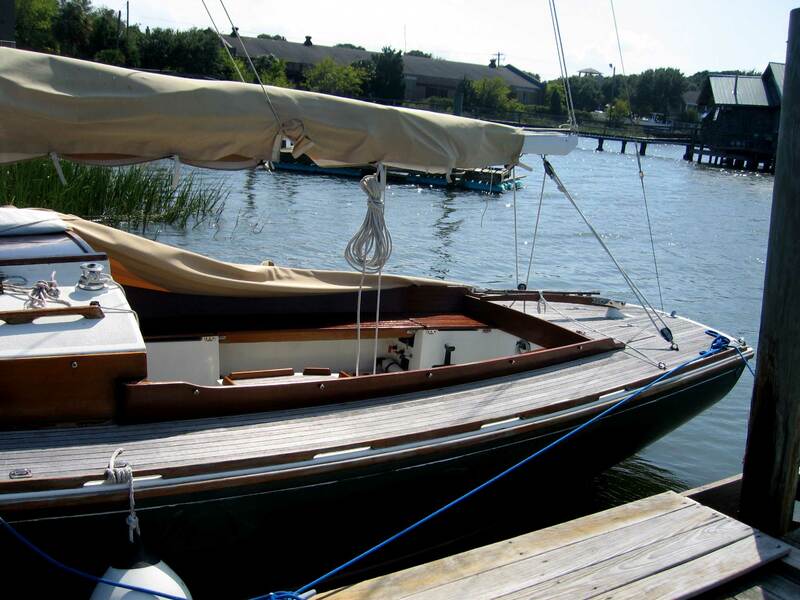 This rare Tadorne has graceful lines that evoke the daysailers of yesteryear, and the beautifully balanced helm and sloop rig provide sprightly performance. 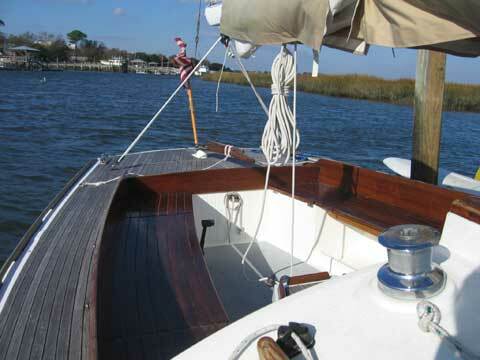 Teak and mahogany are used above and below, meticulously crafted to a cored deck and stiff fiberglass hull. 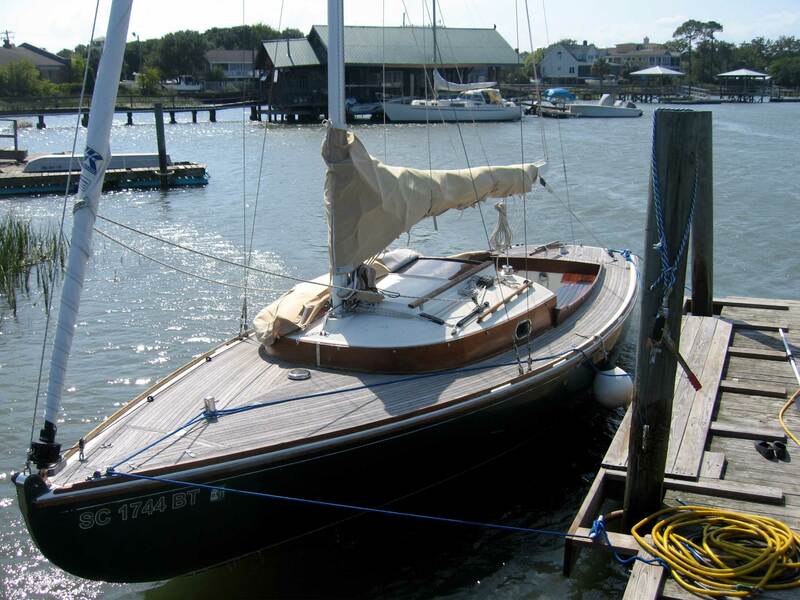 Traditional fittings are complemented by modern running gear and roller furling, making Tadorne a swift and safe vessel that will turn heads under sail or at anchor. 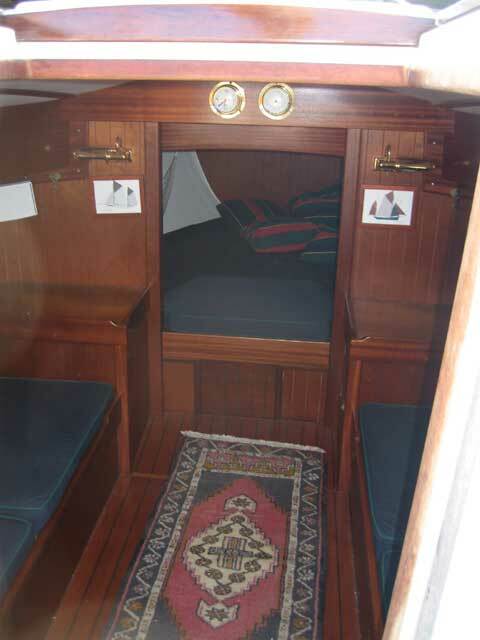 Salon and forward cabin provide ample room for overnight and day sails. 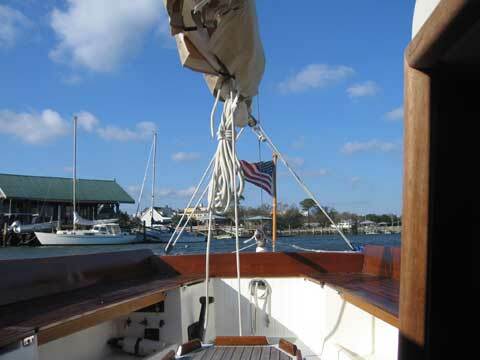 Twenty-six feet long, she can comfortably accommodate up to six people on board. Her self-draining cockpit is wide and spacious. 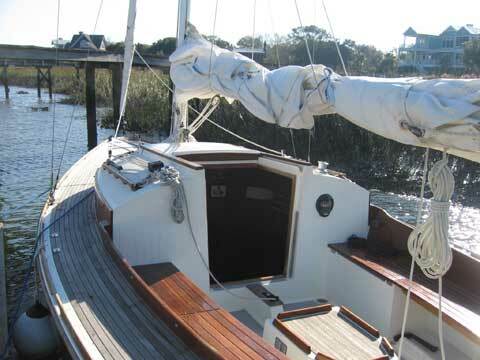 No need to leave the cockpit to manoeuvre - sheets, halyards, reefing, engine controls and jib roller are all within reach of the helm. Under the coachroof, the atmosphere down below in the cabin is warm and convivial. Her highly functional mahogany fittings have been built by skilled cabinet makers and finished with a satin varnish. 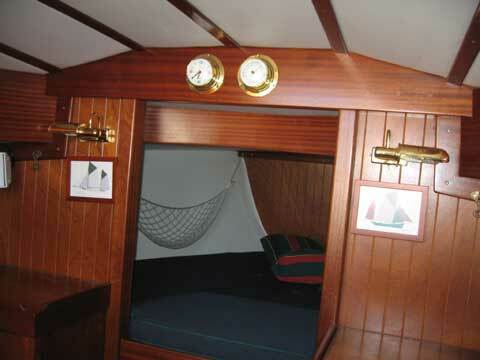 The bunks on either side and forwards are covered with an attractive canvas which matches the colour of the hull. 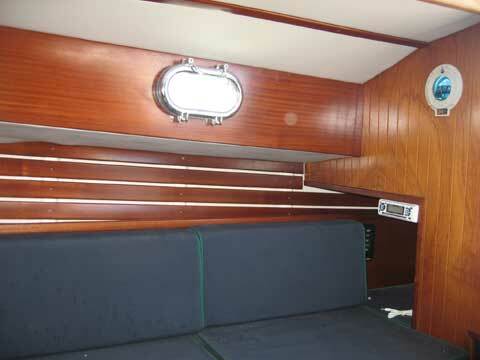 There is a stove built into a shelf to port and a stainless steel sink with pressurized water to starboard. 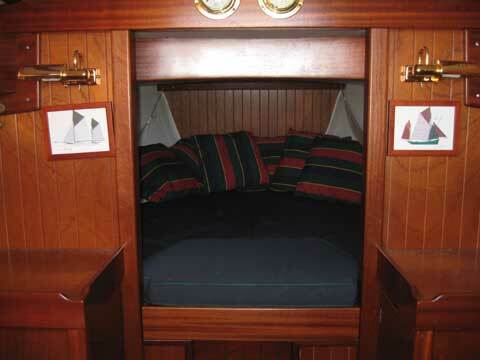 Underneath the forward bunk there is a marine toilet. 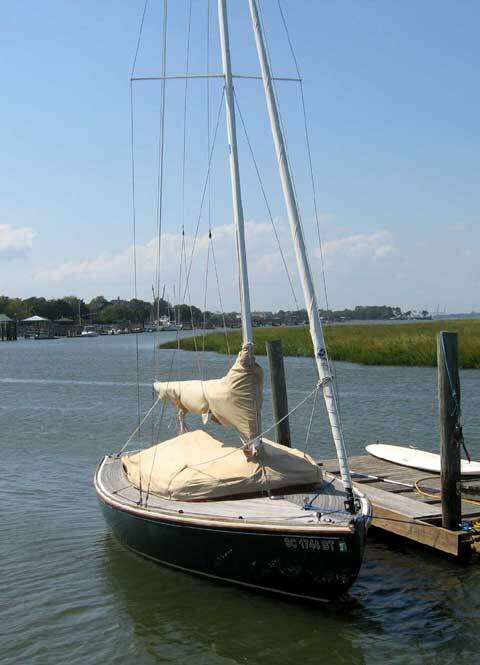 The Tadorne sails extremely well and is stiff under sail. Excellent for weekend or longer cruises.